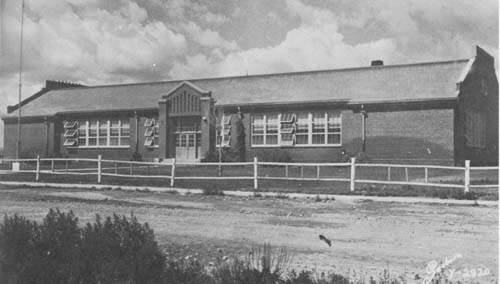 Red Brick School (Photo from the yearbook, "The Puncher," 1957) The red brick school was built in 1937 and served first through twelfth grades until the high school was finished in 1952. After the new elementary was built in 1962, it became a junior high. 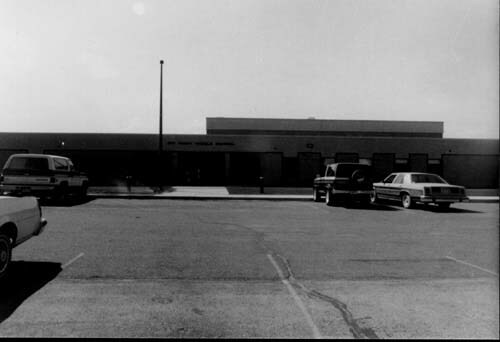 It was torn down and a new Middle School was built about 1980. 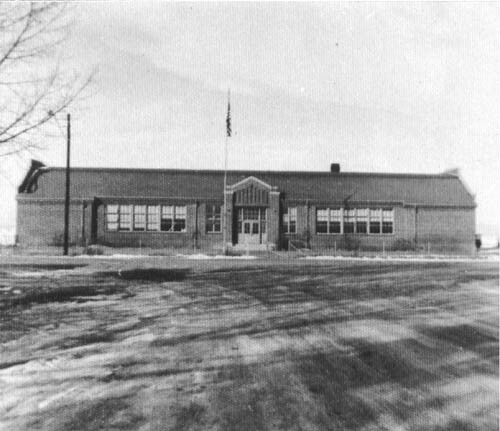 (Photo courtesy of Pearl Spencer) Big Piney School - February, 1958 (Photo courtesy of Jonita Sommers) This photo of the middle school was taken in 1987.